No more struggles to create the same repeating issues over and over again. 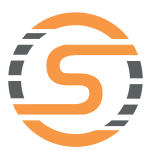 S4J allows you to schedule recurring tasks based on your specifications. Custom intervals allow full flexibility and notifications serve as a reminder for important scheduled tasks. 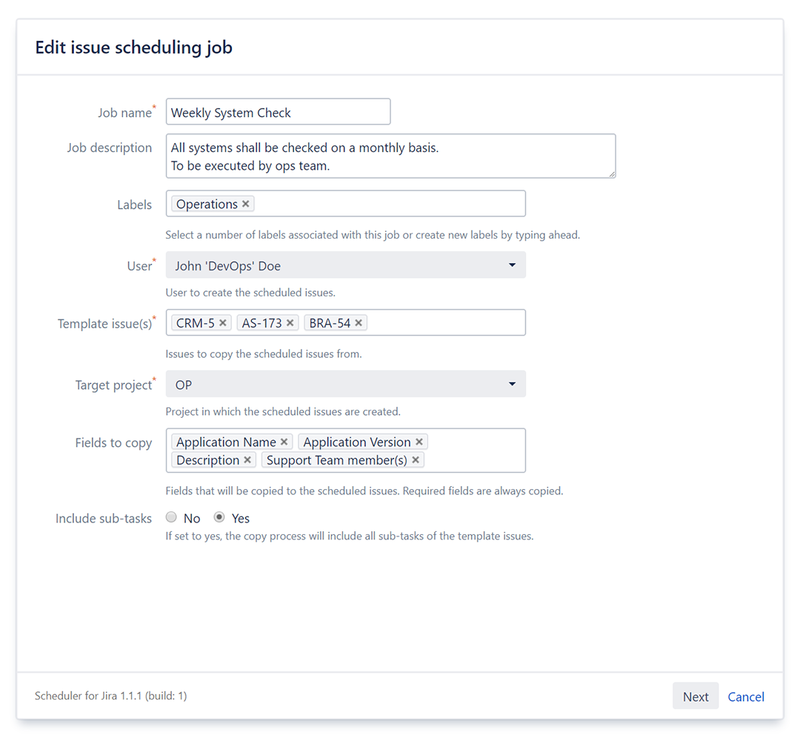 S4J is you scheduler for Jira. 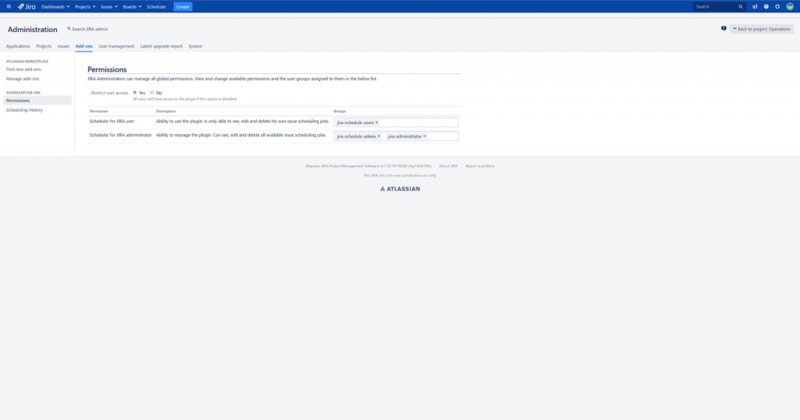 Define one or more Jira issues as template issues for recurring tasks. Specify fields to be copied and the target project for the issues to be created. Optionally copy sub-tasks linked to your template issues. Apply duration and interval to your scheduled jobs. Use notification offset or due date offset to create the recurring tasks x days before due date or set due date x days after issue creation. 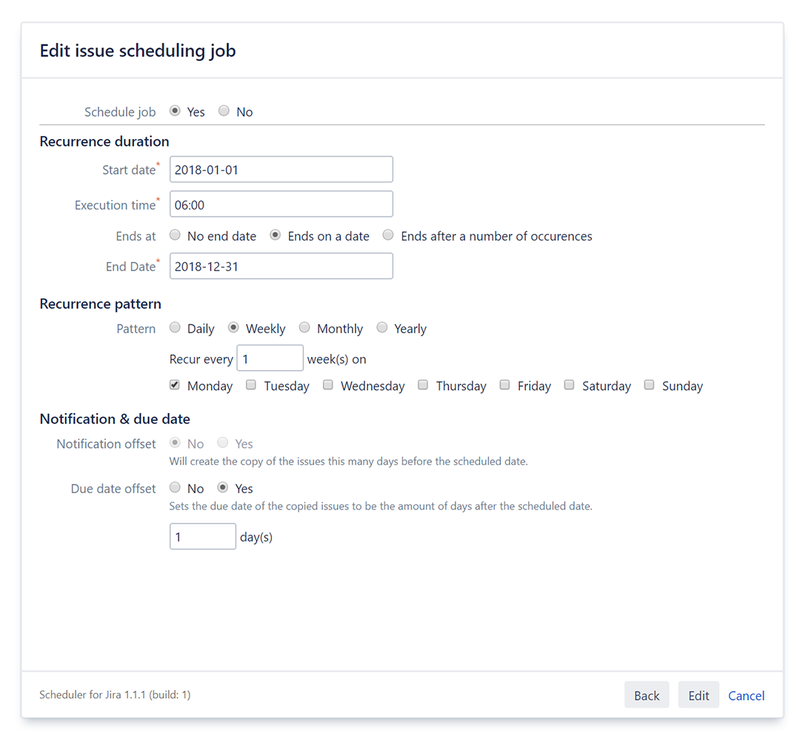 Review all scheduled jobs in a tabular form. Filter by different criteria to easily find specific jobs. 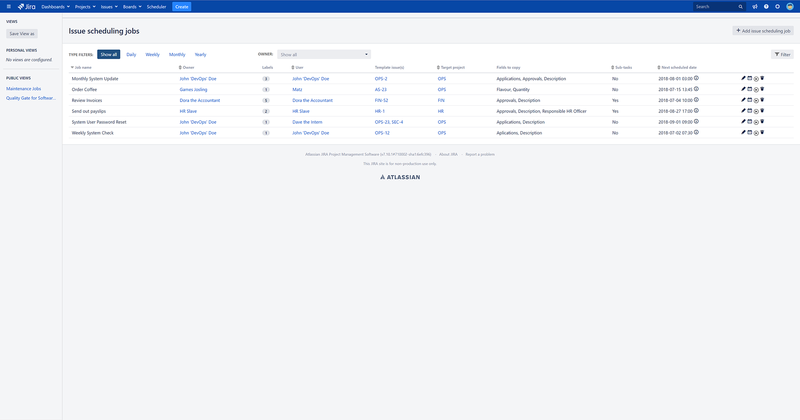 Store filter settings in private or public view for later usage. Find out who is allowed to access the scheduler add-on and modify jobs.